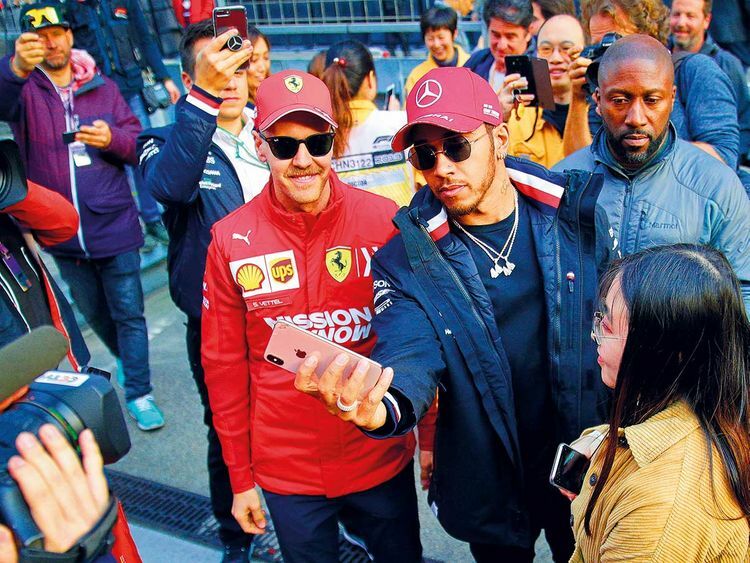 Hamilton, a five-time world champion, was dismissive on Thursday of the party atmosphere surrounding this weekend’s milestone Chinese Grand Prix in Shanghai. “I’m not one for birthdays, I’m not one for anniversaries, I’m not one for special days like this,” said Hamilton, who is a point behind his Mercedes teammate Valtteri Bottas at the top of the early drivers’ standings. “It’s absolutely no different to any other race weekend for me. I’m here to do one job, and one job only, and that’s win. Cautioning, however, that the season is in its infancy, Hamilton said that he hopes to beat the Ferraris of Leclerc and Sebastian Vettel fair and square, rather than hope they suffer some kind of mechanical problem. “Qualifying was OK in the last race, but the race was a big delta [to the Ferrari speed].